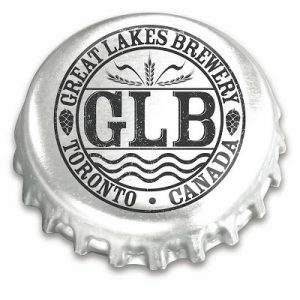 Operating since 1987, not only is Great Lakes Brewery one of the longest running purveyors of craft beer in Canada, it’s also undoubtedly one of the best. So good in fact, it was named Brewery of the Year at the Canadian Brewing Awards in 2013, then again in 2014. Chances are, if it’s Lackey, he’s drinking an IPA. Quite possibly the best at that style in Canada, each release of his Karma Citra, Robo-Hop or Thrust! (to name just a few) results in line-ups at the bottle shop and a run on kegs with licensees. Not that IPAs are the only style that causes a stir among the beer crowd. Each winter brings with it new interpretations of GLB’s playfully delicious Harry Porter series (Harry Porter and the Bourbon-soaked Vanilla Bean, Harry Porter and the Curiously Spiced Cocoa Bean, Harry Porter and the Cherry Hoarder, etc). Seasonals like the Winter Ale and experimental releases from the Tank Ten Series ensure there’s always something new coming out of the fermenters. Another seasonal focus for GLB is Toronto Beer Week, which sees the brewery stretching its resources across the city, from a Danforth Pub Crawl to a Pig Roast back in its own backyard, and tap takeovers and beer dinners around town.